We, Rayglow Technologies Private Limited, are one of the renowned Outdoor Lighting, Road Lighting and Solar Energy Solution providers across PAN India. 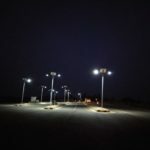 We are a team of professionals having rich experience in Outdoor Lighting Street Lighting, providing absolute solar energy solutions and Lighting Solutions. So far, we have successfully executed many key projects designed for various purposes. Location: Chaibasa-Kandra-Chowka -Jharkhand Client : M/s GKC Project Limited . We supply and install off-grid solar inverters / UPS for banks, school, residence, petrol bunks, hospitals and other institutions. 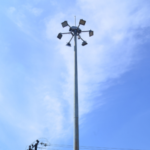 We, Rayglow Technologies Private Limited, supply world-class high mast lighting systems and road lightings. 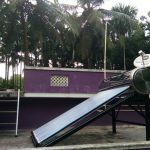 Ray glow Technologies Private Limited offers vast range of solar water heaters which can be used in various establishments like homes, hotels, and institutions. 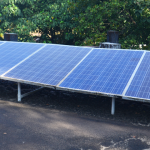 Our solar street lighting system includes a pole, battery bank, PV module, and LED luminaires. Our products are not only eco-friendly but also blend perfectly with the surrounding landscapes. Before incorporating Rayglow Technologies as Pvt Limited Company in 2017, Rajanarayana founded Radha Energy Solutions in 2015 as Partnership Firm. After Having 2 years experience in entrepreneurship, decided to upgrade unregistered firm in to Registered Pvt Limited Company .